Decades of operation, modernization and expansion have left many chemical plants with a somewhat haphazard automation mix of different controls, process control systems, remote I/Os and field devices. The various components may use different communication protocols such as HART, PROFIBUS or FOUNDATION Fieldbus, and are often based on different device integration technologies. The situation is no different at Nedmag Industries Mining and Manufacturing. Based in Veendam in the Netherlands, Nedmag is the leading European supplier of very pure, synthetic dead burned magnesium oxide (DBM). This was the reason that Wim Zomer, project leader at Nedmag, set himself an ambitious goal: he aimed to harmonize the automation bases of the company's three individual production lines and thus pave the way towards efficient Plant Asset Management. Wim Zomer explains: "We had a concept to modernize our installations, to digitize the old controls and to make intelligent devices accessible from one central point. Developing the system is just the first step; the next step is to ensure that it can actually be implemented in each of the locations. The technology is available and it works; now it is up to us to implement it in our three production lines." Using state-of-the-art automation technology will help any organization to carry out its operations with fewer employees. This is a feature which is becoming increasingly important as the number of specialized personnel available to manufacturing companies is constantly decreasing. Furthermore, the external maintenance provider with which the manufacturing company is working must understand the technology and be able to use it, even if their own personnel regularly changes. There are other areas where major savings can be made. Not only does the team save time on maintenance tasks if they can access a device directly from a PC: so too does the service provider. With its standardized and integrated interfaces, FDT Technology provides a common environment for configuring, operating or maintaining any device—regardless of vendor, type or communication protocol. The project leader was certain about the use of the HART digital communication protocol from the start. "I placed my trust in HART as long ago as 1990 because it saves so much time and money", says Wim Zomer: "Saving money is always a good reason to do something, and this is the technology we want to keep." The Dutch company was initially using a complex, non-Windows based system for Plant Asset Management. Wim Zomer recalls: "I always had to keep the instruction manual handy to know what to do next. We used the system so rarely that we always needed to remind ourselves how to use it the next time. Therefore, user-friendliness was high up on the list of priorities when the team went to search for a new system." In Yokogawa's PRM (Plant Resource Manager), they found a system that completely satisfied their requirements. "The new Plant Asset Management system is much less complicated. It is better, easier and we can all work with it," according to Martijn den Dulk, Engineer, Technical Automation at Nedmag. With FieldMate—Yokogawa's integrated device management tool—the vendor also provides the perfect solution to portable device maintenance. Another important advantage of this package is that all device data can be accessed centrally thanks to the synchronization between the two systems. A further benefit of this solution is that it enables unlimited access to all intelligent field devices. FieldMate from Yokogawa was the first tool to fully embrace both the FDT and EDDL device integration technologies, and it supports all the important fieldbus protocols in the process industries. Fig. 1 - PRM Plant Asset Management PC: Presentation of the Device Patrol warning and opened device-DTM for a radar level sensor. The DTM shows the level, possible false echoes and contamination or damages on the antenna system: the tank or the vessel is empty, there are no false echoes over the complete operating range and the antenna system does not signal contamination. When Wim Zomer joined Nedmag, it often took days of downtime before plant failures were fixed. In particular, the analogue technology used often meant that engineers had to undertake a lengthy process of searching for and systematically ruling out possible causes of faults: a process that could last up to one or even two days. FDT Technology, on the other hand, allows the user to look into the device directly from a PC. Central access means that incorrect parameters can be identified and a diagnosis given immediately. "By using HART and end-to-end FDT Technology, we can now resolve most issues much more quickly and efficiently than before. We look at the PC and the instrument tells us what is wrong", says Wim Zomer. As Martijn den Dulk explains, "I check our PRM once or twice a week to ensure that everything is OK. A key function of the PRM system is Device Patrol, which continuously monitors the status of all the devices in the system. If any devices are not indicated as green, I can check immediately to see what is wrong. Previously we would simply wait until something happened or the operator reported that pressure, temperature or flow were not right: only then would we spring into action." In the past, if there was a problem with a level measurement, for example, the automation team had to ask the external service provider to take a look at the device. The maintenance engineer would then check on-site to see if a cable or input card, for example, was faulty. Now Martijn den Dulk opens the Plant Asset Management system and checks to see what the problem is: "For example, one device may have indicated a critical fault. It is a straightforward problem if a device simply stopped working, but it is different if the problem is intermittent. In this case, correct parameter configuration was the answer." The engineer immediately identified that the instrument was not correctly configured, even though the device was kilometers away. The Mine, where the basic raw material magnesium chloride is extracted, is at a distance of 5 km from the production site and the offices. "If somebody has to travel there, it takes up to half a day to get into the car, drive to the other side of Veendam, arrive at reception, set up the laptop and carry out the tests. This is far too time-consuming." Now, as Wim Zomer explains: "At the PC, we usually know what to do within a short time. Even if somebody had been onsite, it would not have been possible to repair the instrument as it was simply configured incorrectly. Thanks to FDT Technology, it is not necessary to send somebody to the plant, leading to savings in time and travel costs." In another instance, the quality of the sensor signal in a radar level measurement system was far from perfect. One look at the device and it was clear that the radar antenna had to be cleaned. The time required previously for this operation was four hours. The time now required is 30 minutes. "Central access makes work so much more convenient", says Martijn den Dulk: "I don't mind spending more time in the office. Our plant is very hot and dusty, which means you cannot work directly on-site for very long. Add to that the fact that the devices are often in locations that are not easy to access at heights of 5 or 6 meters." Nedmag still has high hopes of implementing features such as predictive maintenance in the future. This may not be too far off as all the necessary ingredients are in place. The Plant Resource Manager has only been running for a few months. The main focus in the initial stage was to save time on service and maintenance tasks. The more tasks the automation team can solve directly from the PC, the greater the savings the company can make. 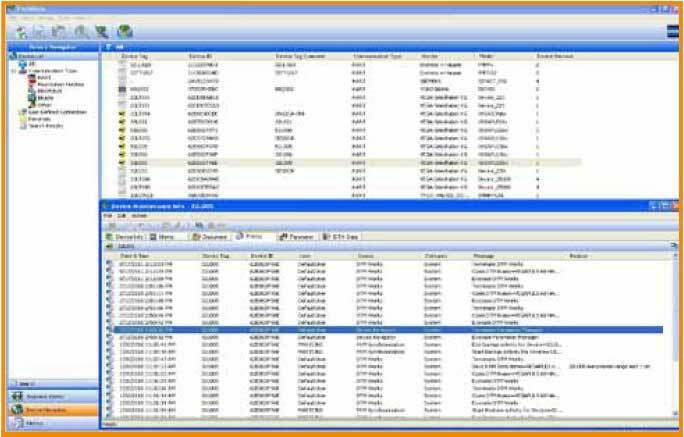 Fig 2 - FieldMate Device Managements PC: Device specific Maintenance info gives access to relevant documents, historic parameter sets and device related Audit Trail; who did what, when and why. The automation experts also appreciate other system features, which make day-to-day work so much easier. For example, the audit trail enables detailed tracking of any changes to the device. Who did what, why and when? If a device issues a warning, the history shows the number of warnings and faults previously issued. "If it has indicated that a measuring range has been exceeded one hundred times already, then I know that the range is too small and that I must increase it—this only takes 10 minutes maximum," according to Martijn den Dulk. The Dutch company also reaped the benefits of FDT Technology during the commissioning phase in the automation of the first of two sintering furnaces. The team was required to test a large number of instruments within a short time frame. The commissioning stage is simpler and faster if the Plant Asset Management system can be used to test and simulate an instrument, and to check if it is "alive". Wim Zomer explains: "If we do not include the time invested in developing the concept, then the digitalization of 240 devices, which can be read online using FDT, only cost a total of 15,000 euros (62.5 euros per device). Today, approximately two thirds of the devices are intelligent through HART communication. They will be gradually connected to the company's network in order to be able to take full advantage of the intelligence they contain. The number of devices that can be operated, monitored and maintained from a central point continues to grow. "We can say today that we want to proceed with Plant Asset Management, but it cannot be done overnight. Everything takes time. The main thing is to dare to take the first step," explains Wim Zomer with conviction. The technology works. Now it is time for the next generation to roll out these state-of-the-art solutions in all of the plants and to take advantage of the opportunities they offer. Nedmag can already report initial success in the area of device management and the time savings that have been gained here. The first step has been taken. From the field to the office, the combination of digital communication and FDT Technology offers user's centralized access to each and every device at all levels. Nedmag is perfectly prepared for the future thanks to the FieldMate device management assistant and the Plant Resource Manager from Yokogawa. Membership has grown from the thirty seven founding companies to over ninety companies in its global membership. Support for more than fifteen industry standard protocols. More than 3000 devices supported by certified DTMs. Recognition as an IEC standard (62453) was achieved in 2009. The first FDT Frame was certified in 2010. The China FDT Association was formed in 2010. We are proud to be a membership lead organization. The achievements of the FDT Group are the direct result of the dedicated individuals from our member companies who work tirelessly to advance the FDT standard around the world. Of course the history of the FDT standard goes back much further than 2006. Its initial roots came from a meeting of ZVEI (Zentralverband Elektrotechnik- und Elektronikindustrie e.V.) in 1998 when they documented a proposal to create a vendor neutral field device tool (FDT). PNO (PROFIBUS Netzer Organization e.V.) joined in this effort in 2001. Late in 2002, Endress+Hauser lead an industry wide forum to explore the possibility advancing the FDT technical work into a formal industry standard. Fourteen companies were in attendance. Shortly thereafter in early 2003, a group of vendor companies consisting of ABB, Invensys, Endress+Hauser, Metso, and Siemens formed the FDT Joint Interest Group (JIG) to propel the work on the FDT standard. PNO agreed to license the further development of FDT to this new FDT JIG. In 2004, Omron signed onto the FDT JIG and the FDT 1.2 standard was released. During the course of 2005, Rockwell Automation and Yokogawa also joined the FDT JIG as sponsoring companies. 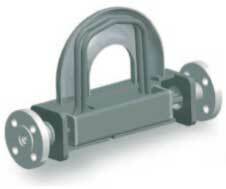 Many other companies became very active in the work of the FDT JIG as well. M&M Software created the first DTM Inspector software tool that automated the JIG test specifications. By 2005, the first DTM certifications were achieved. This same year also marked the first update to the standard in the form of FDT 1.2.1 incorporating additional features requested by early adopters. The FDT JIG was successful in its mission so industry interest in sponsoring the JIG was growing rapidly. This success stretched the limits of the JIG structure so a decision was taken in 2005 to formally found an international, non-profit organization to carry on the work of the FDT JIG. A founding tenant was to allow all companies, individuals, and universities that are interested in advancing the FDT standard to join the organization and directly shape, and participate in, its activities. In early September 2006, the FDT Group, AISBL held its first official board meeting of the newly incorporated international non-profit organization. The original eight sponsoring companies of the JIG joined the new FDT Group as sponsoring members. Schneider Electric also joined the FDT Group at its inception to become the ninth founding and sponsoring member. Other founding corporate members include AUMA, Bartec, Beckhoff, CEAG, CodeWrights, Comsoft, Hilscher, Ifak, Ifm, Infoteam Software , Krohne, KH-Automation, Mesco Engineering, M&M Software, Moeller, Pepperl+Fuchs, Phoenix Contact, SICK, Smar International, Softing, Stahl, Trebling+Himstedt, Turck, Tyco, VEGA, Wago, Wetcon and Woodhead. 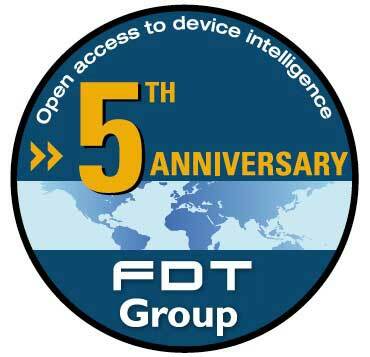 "Yokogawa congratulates the FDT Group on its 5th anniversary. FDT Technology enables us to deliver truly open systems to our customers, and we look forward to continuing this successful collaboration in the future." "As one of the first pioneers of FDT it makes us proud to see what the FDT Group has achieved within these last five years and we are happy to be part of such a dynamic environment. A special highlight is the fulfillment of one of the most important goals, the official IEC Standardization, which was reached within such a short time frame without any obstacles." "Congratulations and thanks for the first 5 years. Continuous growth of membership, international standard status, growing and global installed base—all those prove that we are on the right track. Keep up the good work in seamless integration of devices and systems —and making automation more efficient and easy-to-use." "M&M congratulates FDT Group on their 5th anniversary. We are proud to be a founding member of the FDT JIG and FDT Group! We wish you continued success and look forward to great things happening in the future." "Congratulations to the FDT Group for turning a vision into a reality, providing control system users with an open solution for commissioning, maintaining and early problem detection for any device from any vendor." Betty-Naylor- McDevitt, Invensys Operations Management. "Well done on this 5 years of success! Wishing you the same for the future." "FDT is more than a well accepted technology in the market—we have reduced development costs by using the FDT standard as a common platform for device configuration." "Congratulations on 5 successful years of FDT development and we look forward to the exciting technology that the next 5 years will bring!" "As we celebrate the first 5 years, may we reflect on the successes of our early work and pledge to maintain the spirit of pioneering for all future technology development,"
Yokogawa has been manufacturing its ROTAMASS Series Coriolis type mass flow meters for almost 20 years. This versatile flow meter Series has continuously been improved to become one of the most accurate, stable and easy to use mass flow meters available today. Despite increased functionality this multivariable instrument is easily configured and managed through an intuitive powerful DTM. Clearly structured parameter groups for configuration, diagnostics and maintenance are key functions of the new HART DevRev 4 DTM. It also features advanced graphical visualization of process variables such as mass- and volumetric flow, density and temperature as well as the output signal levels. In addition a trend graph is included. 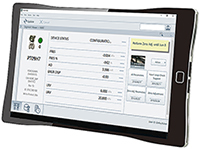 The diagnostic window of the DTM features integrated test functions and an output simulation wizard, both allowing fast validation of the measuring system and efficient trouble shooting. ROTAMASS Series is available with both HART and FOUNDATION™ Fieldbus communication. 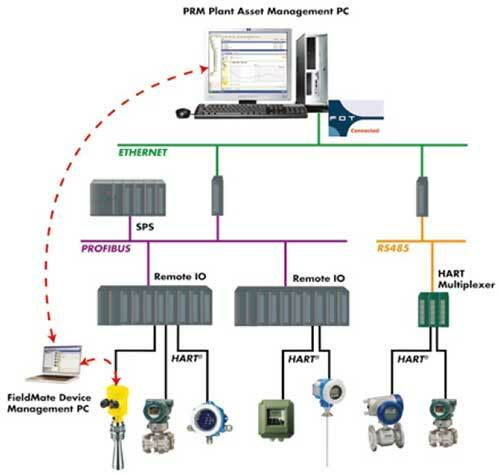 DTMCollections for Yokogawa's HART, FOUNDATION™ Fieldbus and PROFIBUS field devices can be downloaded from: http://downloads.yokogawa-europe.com.